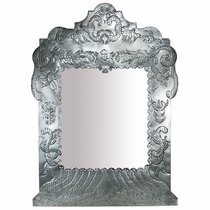 Tin, in the hands of Mexico's finest mirror craftsmen, becomes an exquisite rustic metal medium that excites and delights the eyes. 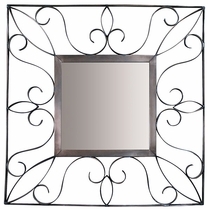 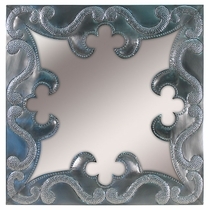 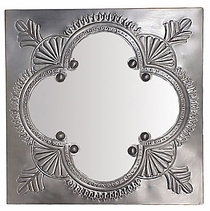 Our Natural Tin mirrors are all handcrafted in Mexico by artists who etch and stamp their most unique and detailed geometric and floral designs on a variety of mirror borders. 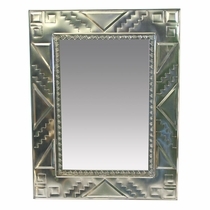 One is more beautiful than the other and all work extremely well with in any Spanish colonial or southwest ranch style setting. 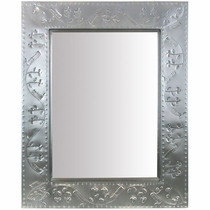 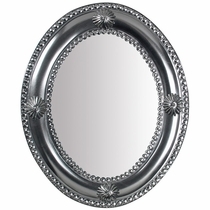 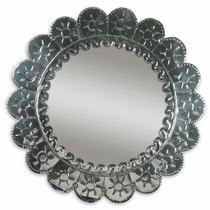 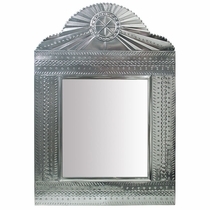 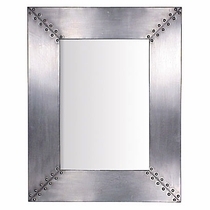 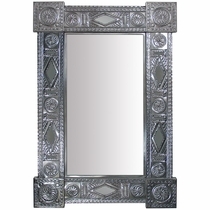 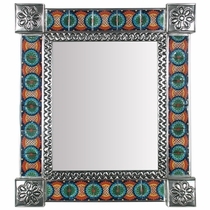 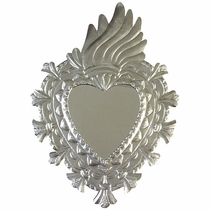 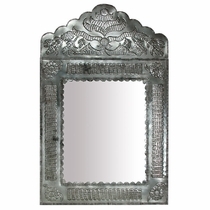 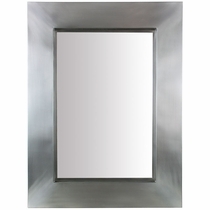 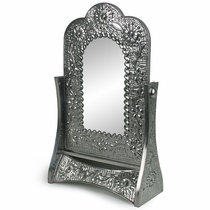 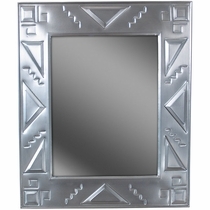 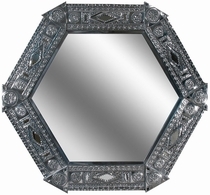 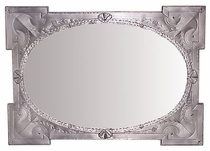 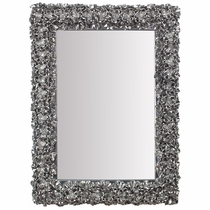 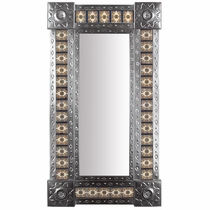 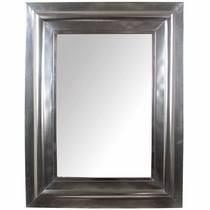 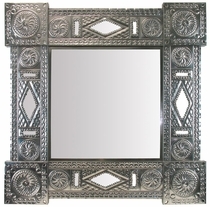 Hang a Mexican tin mirror in your bedroom, bathroom or entry hall and the room will jump to life. 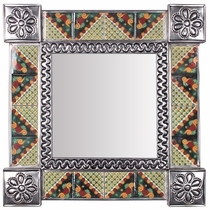 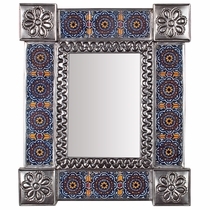 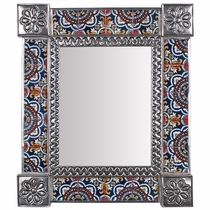 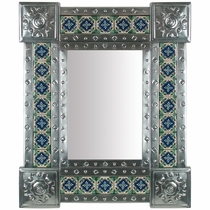 Square Natural Tin & Talavera Tile Mexican Mirror - 13" x 13"
Natural Tin & Mexican Tile Mirror - Small Rectangular - 11.25" x 13.25"
Medium Rectangular Mexican Tin Mirror with Talavera Tile Insets - 13" x 15.25"
Mexican Decorative Tin Wall Mirror with Talavera Tile Insets - 15" x 17"
Large Narrow Natural Tin & Tile Mexican Wall Mirror - 20" x 36.5"
Mexican Natural Tin & Tile Mirror - 20" x 24"
Grayed Tin Vine Mirror - 24" x 30"